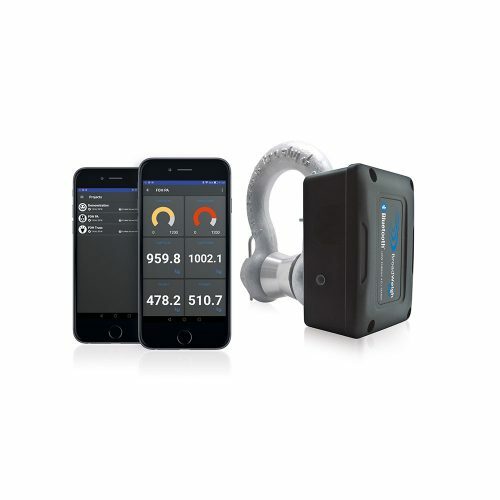 This data logging software package enables the user to view and log up to 100 data channels from BroadWeigh wireless shackles. The software does not take advantage of 64 bit operating systems nor direct advantage of multi core processors, but is compatible with both. Each sensor mapping value on the 100 channel data logging software is shown in a re-sizable window. User-defined mathematical functions can be applied to each data channel & display e.g. the reading from one shackle or the summed readings from many shackles. Conditions such as communication loss, battery low, data range over / under can be indicated by audible & visual alarm. Logging of data can be initiated at an overload point or when approaching or leaving overload. 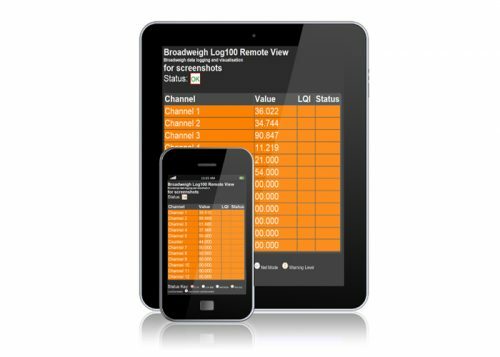 BW-LOG100 load monitoring software also allows logging on demand or at set intervals. BW-LOG100 now has a graphics feature that incorporates drawings and pictures into the data logging display. Remote access to data using tablets and smartphones via a Webserver is another feature of BW-LOG100. After the first stage of sensor mapping display channel design, graphical backgrounds can be constructed from pictures etc which can show the data in many different ways including digital format or bar display. BW-LOG100 can accept up to eight separate views (or pages) of a structure which can quickly be navigated between. JPG, GIF, PDF and DXF are just some of image formats that can be imported.